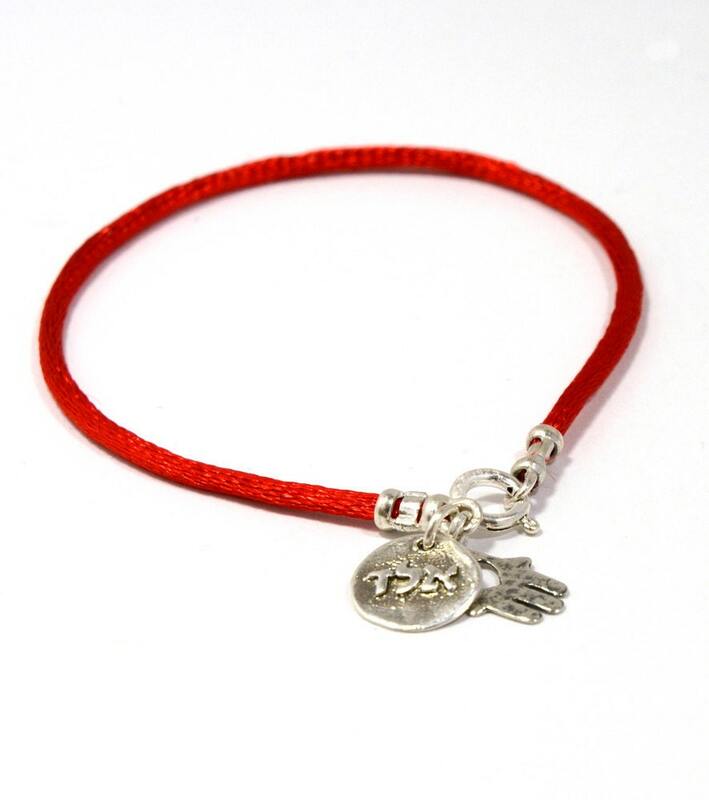 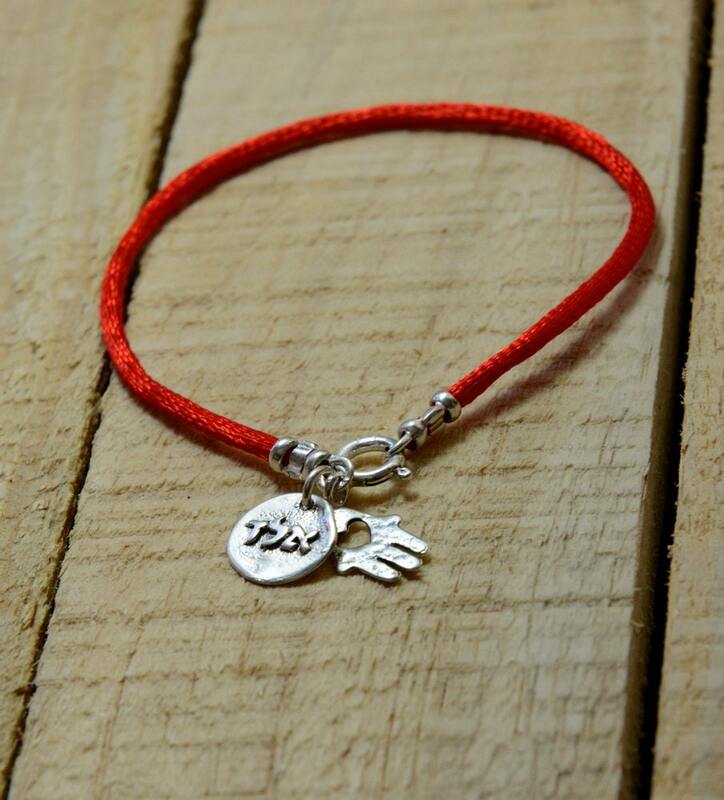 This Red String silk bracelet includes 925 a Sterling Silver Kabbalah coin charm with the letters (ALD) for protection. 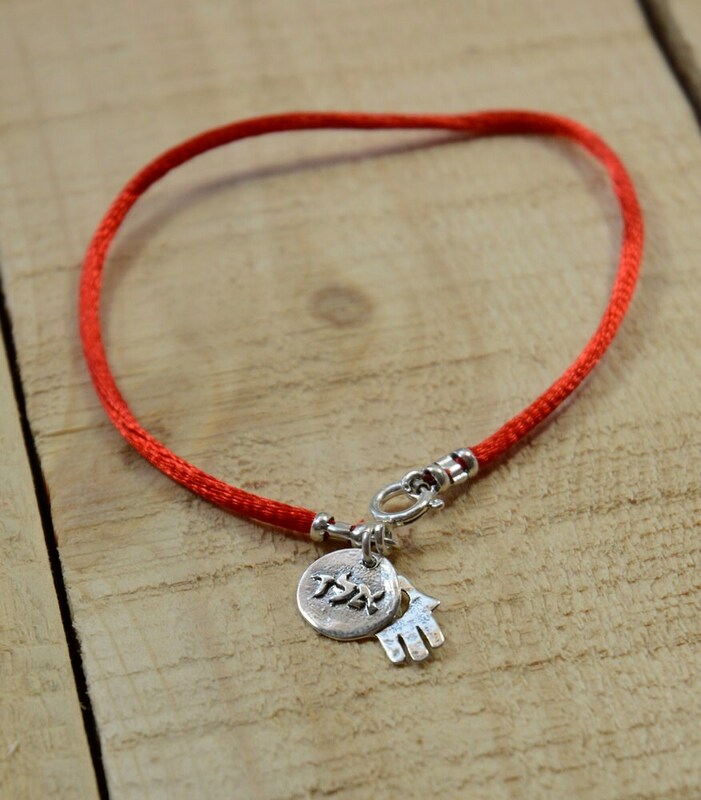 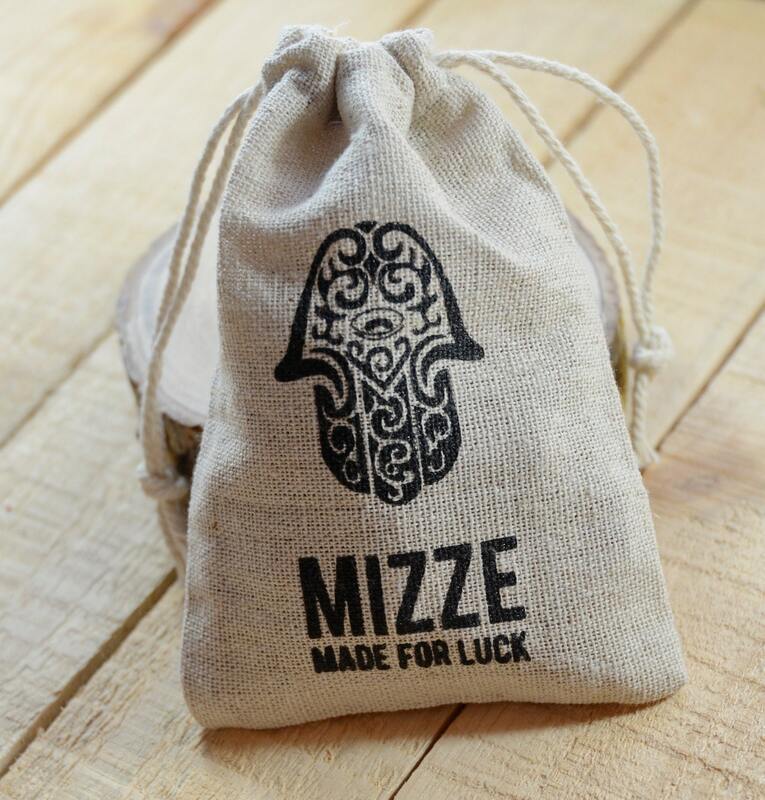 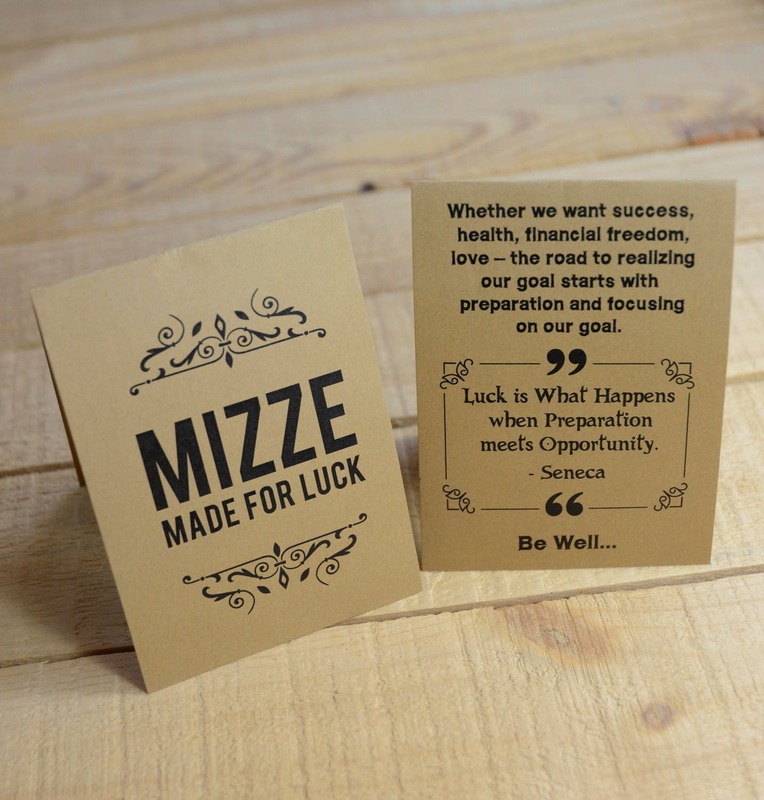 The letter combination is believed to provide the wearer with protection and safety. 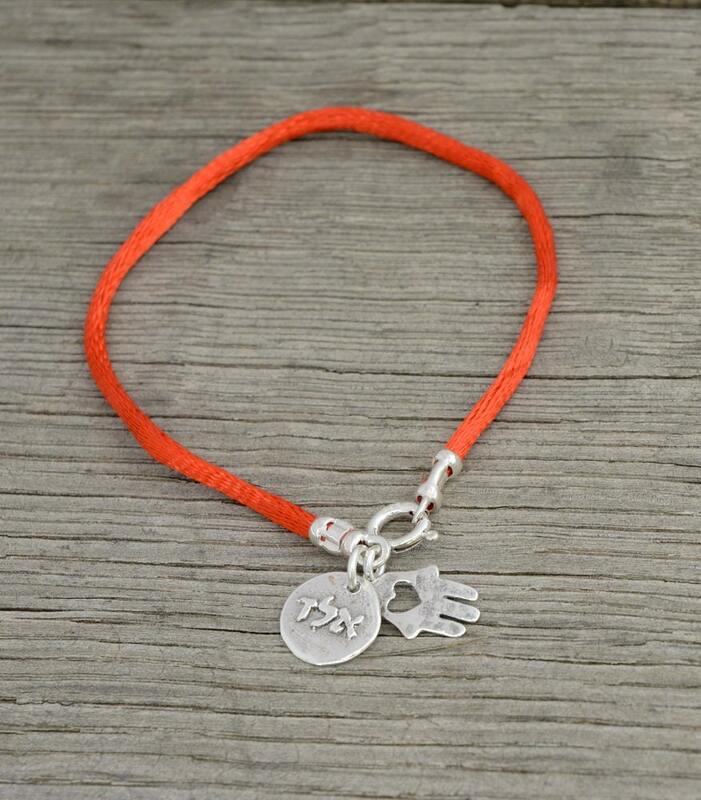 This charm bracelet also includes a Hamsa Hand charm for protection.